Amyotrophic lateral sclerosis (ALS) is a progressive neurological disease that affects the motor neurons responsible for controlling voluntary muscles. Motor neurons, located in the brain, brain stem and spinal cord serve as control units and vital communication links between the nervous system and the voluntary muscles of the body. The pulses of brain or upper motor neurons are transmitted to the lower motor neurons in the spinal cord and then to each particular muscle. In ALS, both the upper and lower motor neurons degenerate or die and stop sending messages to the muscles, which weaken, atrophy and contract forming fasciculations. Finally, the brain loses capacity to initiate and control voluntary movement. ALS produces a wide range of disabilities due to muscle weakness, affecting all muscles under voluntary control. No cognitive impairment occurs since only affects motor neurons. ALS is one of the most common neuromuscular diseases worldwide, it affect approximately 1 in 20,000 people. The age of onset varies between 40 and 60 years old. In 90-95 % of cases of ALS, the disease occurs apparently with no clearly associated risk factor, and these patients have no prior family history of the disease. 5-10% of ALS cases are inherited. The familial form of ALS usually has an autosomal dominant inheritance pattern. How is ALS diagnosed genetically? The exact cause of ALS is unknown and it is not known why it affects some people and not others. It has been reported that mutations in the gene that produces the SOD1 enzyme are associated with approximately 20% of familial ALS cases. This enzyme is a powerful antioxidant that protects the body from damage caused by free radicals. 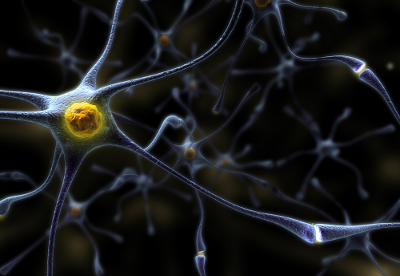 Although it is unclear how the SOD1 gene mutation leads to the motor neuron degeneration, it is theorized that a malfunction of this gene could result in an accumulation of free radicals that damage the neuronal cell. In support of this theory, animal studies show that motor neuron degeneration and deficits in motor functioning are accompanied by the presence of a mutation in the SOD1 gene. Other studies have focused on the role of glutamate in the degeneration of motor neurons. It has been observed that patients with ALS have higher levels of glutamate in serum and cerebrospinal fluid. Laboratory studies have demonstrated that neurons begin to die when exposed for long periods to excessive amounts of glutamate. It has been suggested that autoimmune response that occurs when the immune system attacks normal cells can be a cause of motor neuron degeneration in ALS. Recently, it has been reported that in patients with ALS, 39% of the familial cases and 7% of sporadic ones, hexanucleotide GGGGCC in intron 1 of the C9orf72 gene is expanded. Mutations in other genes as FUS and TARDBP (TDP43) have been associated with some forms of familial ALS, although mutations have also been observed in sporadic cases. The test is particularly aimed at those who, for medical reasons, require a confirmatory genetic diagnostic of ALS. It is also indicated for people who have no symptoms, adult with a family history of ALS and wish to know whether or not they carry the mutated allele. For ethical reasons it is not advisable to make the diagnostic of carriers in asymptomatic family members who are minors. The genetic test analyses, on the one hand, the existence of mutations in all coding exons of the SOD1 gene using Sanger sequencing; and on the other, the size of the expansion through quantification of the number of repeated hexanucleotide of intron 1 C9orf72 gene using PCR and capillary electrophoresis. Normally, this region of DNA is repeated less than 20 times, but in people with the disease, presents more than 30 repeats. If none of these studies provides a positive result, the study could be continued searching for mutations in the FUS and TARDBP (TDP43) genes.